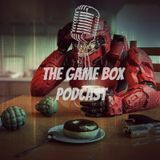 Weekly podcast discussing all the latest gaming news, as well as discussions on relevant gaming topics. New episodes will be released every Sunday, with live streams to be determined for future viewing. This podcast is an audience friendly project, so listeners are encouraged to contact the producer via email to add feed back or to request an appearance on the show.